I can’t believe we finally released 3.0! The last months have been crazy with energy. The whole project feels revitalized. Also, I’ve been using gnome-shell now for some time, and I’m really liking it. Going back to gnome 2 now feels clumsy and painful. You should all try it out and make up your own mind, but please try to avoid immediately tweaking it to your old ways, instead try the new defaults for a while, you might like it more than you expect. Make sure to read the cheat sheet to learn all the new tricks. I really like the new alt-<key over tab> feature! Congratulations on rethinking the basic metaphor of the desktop! I do indeed find that gnome 3.0 is intuitive and easy to use. The simplicity attracted me within 5 minutes of playing with the new system. I have tried Ubuntu’s unity desktop which seems to trip over too many compromises, so that it has not really broken free of the old metaphor, inherited from Smalltalk at Xerox Parc. 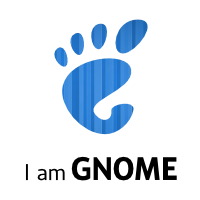 I admire KDE but it is too complex and sometimes gets in the way of productivity and so gnome was my default desktop, but it was certainly creaking. However, I suppose it was necessary to wait for 3-D graphics cards to become widespread for this new development to function — and this was the first time a graphics card worked without intervention!